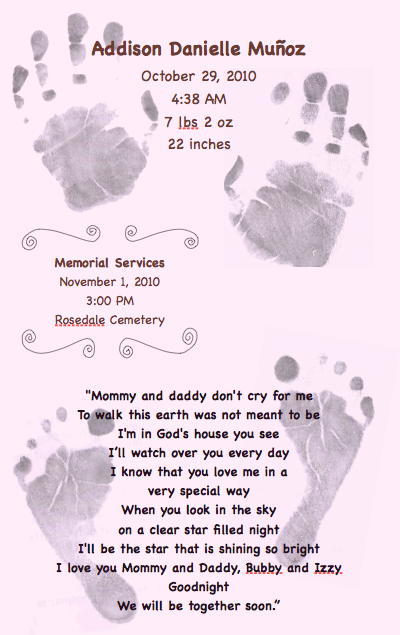 Today we honor the memory of Addison Danielle Munoz. Addison went to be with Jesus just a few days before she was scheduled to enter the world. 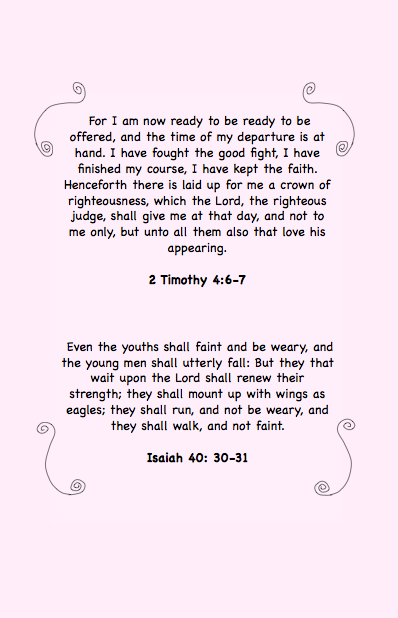 Please pray for Adam and Michelle, as well as siblings Aiden and Izzy, as they remember this day they lost Addison. 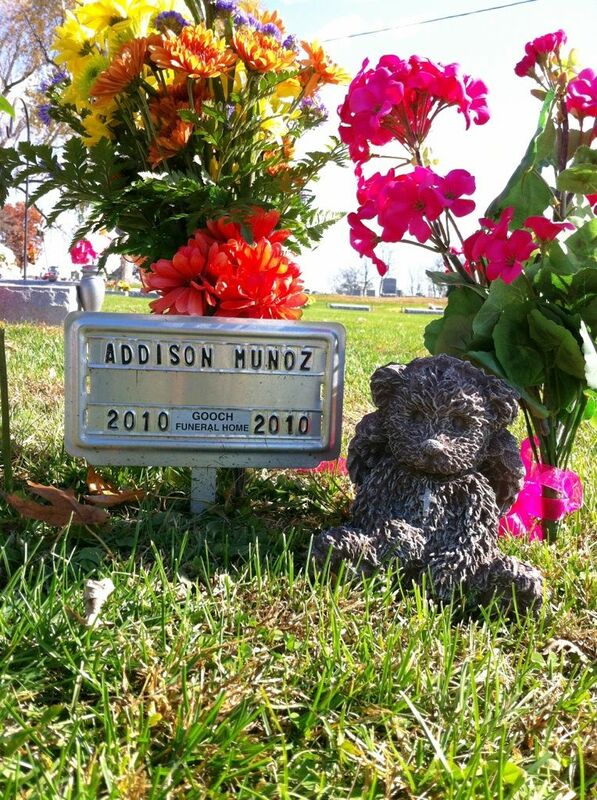 The Munoz family honored Addison’s life by each taking a gift of their choice to her grave site.